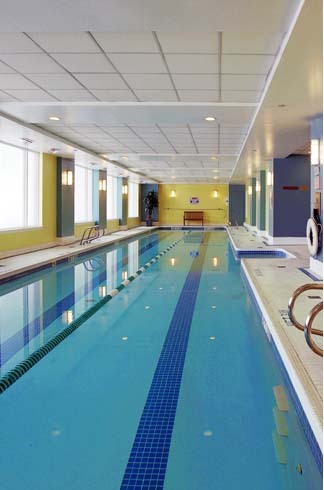 Residents can enjoy the 25 yard, two lane, lap pool. The pool is located off the main lobby and is open daily from 5:30am - 12 Midnight. For everyone's use and enjoyment, please see the complete list of rules and regulations pertaining to the pool. For safety reasons, children under the age of twelve must be accompanied by an adult in order to use the pool.